Another Beautiful Day in Paradise. It was in the high 70s, with a little breeze and slightly overcast skies. We had a good group of regulars, absentees Frankie and Janet plus new skaters Kathy & Bill H. Welcome all. 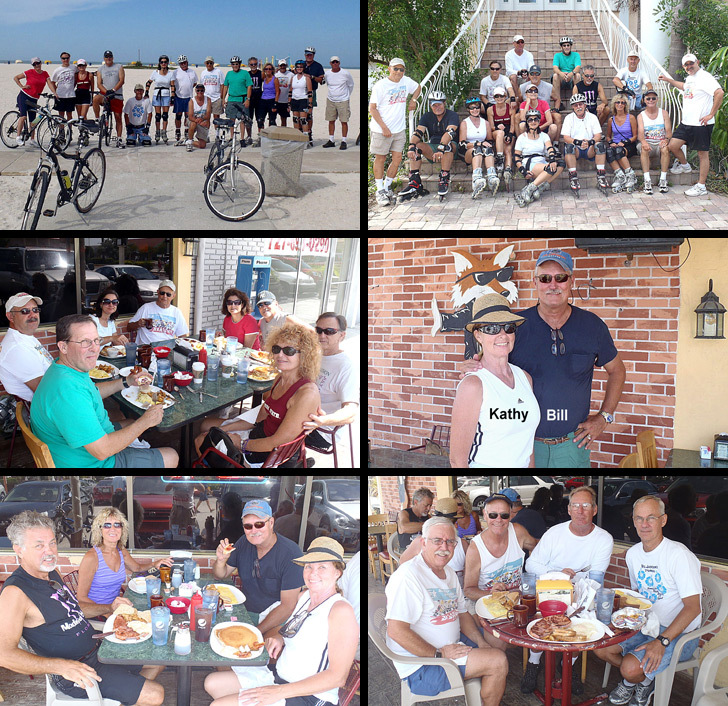 We did our normal Isle of Capri, Treasure Island Beach and Isle of Palms skate/bicycle with two changes. We skipped some of the not so perfect fingers and did more of the sidewalk along Treasure Island Beach. It really was a beautiful day for the beach. Almost everyone did the 10 miles. We had 8 Bicyclers. New skater Bill H became a Sponsor. Thanks for the web site support Bill. We Brunched at Foxy's as planned. Janet and Paula skated to Foxy's and got them started on setting up for us. Thanks Janet and Paula. We got right in and seated out side at 3 tables. Coffee flowed freely. We got in and out in about an hour. Ratings ranged from 8 to 9.5 but we had more in the 9 range so we'll give Foxy's a 9.